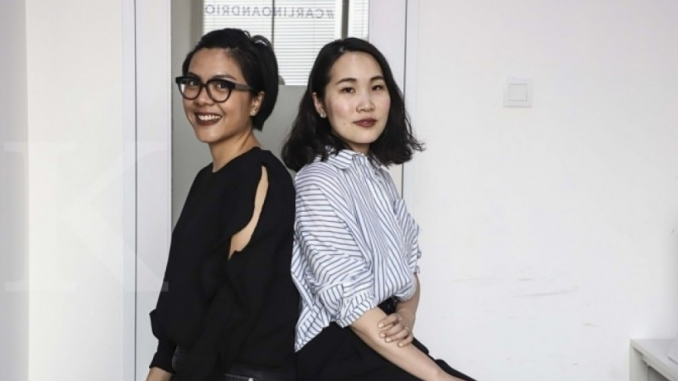 Carline Darjanto and Ria Sarwono’s Business Trip Increase Cotton Ink starting at the end of 2008, at that time the two women made two dozen clothes with President Barack Obama’s printing and sold out. From that advantage, Carline and Ria pioneered the fashion business with the brand Cotton Ink. Now, Cotton Ink has become one of the popular local brands. From initially only two dozen, now their production reaches thousands of pieces of clothing and accessory pieces. In 2009, the two released a new scarf-shaped Cotton Ink product they called a scarf convertible. The thing is, their artificial scarves can be used in various styles. And it turns out, the product received an extraordinary response, it became a hit among Indonesian young people. Departing from that success, in early 2010, Carline and Ria decided to take care of this business. They want Cotton Ink to be a fashion brand, not just an accessory. From the results of a small survey, both of them released casual clothes with designs not too like office clothes and parties. By targeting Eve, they also create products that describe women who are comfortable and confident in themselves while having character. It is also illustrated by the meaning of Cotton Ink. At present, Cotton Ink has four business product lines, namely Clothing, Accessories, Cotton Ink Studio, and Cotton Ink Mini. For clothes, for example, in 2012 they released a product that combines traditional batik and woven cloth into the designs of their clothes. Of course, it’s still in the realm of casual with a typical twist of Cotton Ink. Then, Cotton Ink Studio was born in 2014 which is a new embodiment of minimal and modern aesthetic values. Collections in this product line are contradictions of firmness and tenderness through various forms as well as textures. In 2018, the latest Cotton Ink business line that is currently on hits is for small children or toddlers aged 0-3 months. But in the future, Carline and Ria are preparing for the 5-year-old segment. In new product innovations, Carline and Ria also collaborated with illustrator Dina Maharani and designer Mel Ahyar. The collaboration that has been established since 2015 has become a new marketing strategy for Cotton Ink, a limited liability company (PT) in 2012. They want loyal customers to also have something extra like special editions, outside of the Cotton Ink collections. to get closer to customers, Cotton Ink then opened its physical outlets in the Kemang area of Jakarta. Until finally Cotton Ink again opened outlets in PIM and Plaza Senayan then closed outlets in Kemang. In the future, Carline and Ria will re-open physical outlets in several cities and continue to develop Cotton Ink products with the current type of fashion that is suitable for millennials.